The Cushman & Wakefield National Out of Town Retail Agency team provides market leading advice throughout the UK on all aspect of retail warehousing and foodstores. The National Agency Team based in London, Manchester and Edinburgh. The quality of the team’s personnel, extensive expertise and hardworking nature has led to the team to forge long term client relationships. Our “client first” approach enables us to provide innovative and solution based advice to Landlords, Developers and Retailers. 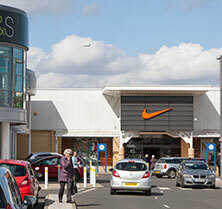 We currently advise on more than 18 million square feet of retail parks as well as acting on a retained and non-retained basis for many of the leading retailers active within the Out of Town sector. We work on an integrated basis with our specialist Out of Town Investment and Lease Advisory teams.